My name is Gus. I’m part hot dog! Meet lovable Gus, this weeks Pet of the Week! 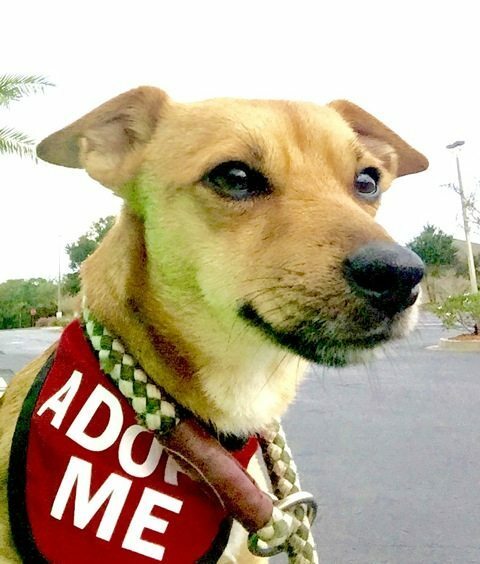 He is a happy little boy who adores attention and makes friends with everyone he meets. He loves to cuddle, is generally excited about life and would love to be your companion for walks. Gus’s estimated age is under 1 year. He has a calm and quite demeanor but also loves playtime. This Dachshund mix weighs in at approximately 15-20lbs and would love a sweet and wonderful home to call his own! Gus is house broken, has been neutered, microchipped and is up to date on all his vaccines. He will be at Pet Supermarket Ponte Vedra this Saturday and Sunday from 10am-4pm. I hope this loverboy got adopted. He is adorable….